ARIES – Give some time to your new relationship to grow and develop. This will help you avoid any complications later. Unexpected problems might crop up at home or office for those who are engaged. They might have to break an appointment with their fiancee due to their hectic schedule. Children who excel in their studies and other co-curricular activities will leave a good impression on their teachers and other students. Businessmen will make major progress in their business plans. Taking careful steps would help deal with any further complications. Those in the legal profession will work towards establishing their business and career. They would take the steps towards this goal today. An empathetic nature, especially towards students will help teachers resolve the problems students come up with. 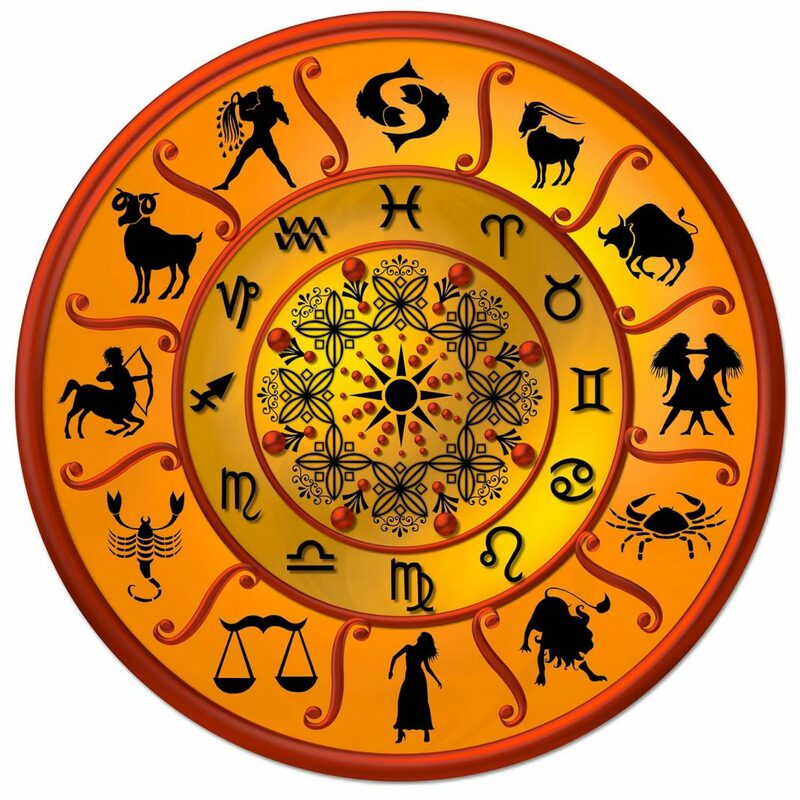 TAURUS – Those who are single might find someone very interesting today. But it would be advisable not to jump to any conclusions and take any sudden decisions. Children might slightly injure themselves today. It might just be a cut or a bruise. But it might worry the entire family. Impudent and disobedient children/students may test the patience of teachers today. They would have to ensure that they are in control. Sportsmen will feel very energetic today. They will also be able to meet up with any challenges that come up their way. Those who are in the show business need to be diplomatic and cautious in their interactions today. Being around people who have positive energy and in positive surroundings would be very helpful to keep you healthy. GEMINI – Those who are single might be overburdened with work today making them very short tempered. They are advised to be patient while dealing with their officers. Those seeking a job should today ponder on their life goals and change their mindset accordingly. Legal professionals will finally get a break today to refresh themselves from their busy schedule. A lunch or dinner with dear ones is advised. Dedication and hard work from the students will only help them realise their dreams. Teachers may start getting bored of their current job and work place. They might start considering offers from other places or education institutions. LEO – Reach out to the person you love and celebrate togetherness today. Parents are urged to encourage their kids to have a positive outlook on life. It would prepare them to face anything in life. You might get a new job offer today. This job would bring you fame and recognition. Advocates can expect new cases coming their way today. These cases would bring reputation and money for them. Parents, teachers and friends will guide students today and help them choose the best option for their higher studies. Those in the artistic field will get an opportunity to pursue higher studies abroad in their chosen field. VIRGO – Children might look up to their parents for some support. Try and explore new places that you haven’t been earlier, during your trip today. Businessmen and industrialists may today get an opportunity to make long-term property investments. A difficult day ahead for students who are studying technical subjects or medicine. They need to have a peaceful environment in order to be able to study. A favorable day ahead for teachers and their work today. Artists may have a dull and boring day today. They may feel as if all their creativity has sapped out of their being. They may not be able to think of anything to do. LIBRA – Parents of those who are single might not allow them to go out of party today. Parents and teachers would be proud of the progress may by children today. They may even be rewarded for their efforts. People intending to undertake a train journey today are advised to reconfirm their reservation. Chances are they might not have confirm tickets or may be on the waiting list. Advocates who win their cases today will be appreciated very much by their clients. They might offer gifts over and above the fee. Real estate agents will have to spend their entire time and energy today on facing the problems in a deal on a disputed land. Teachers will be busy today attending seminars or workshops which may later assist them at work. SCORPIO – You might meet someone new today at work. And there would be sparks flying all across as romance blossoms. A good and happy day for the elderly. They would get along well with people of all ages they meet. They would also set examples for the young with their experience and zest for life. Those seeking a job would be presented with new employment opportunities. They should make the most of these opportunities. Senior advocates might be selected to chair respectful positions within the judiciary by officials. Students appearing for their higher study examination may expect good results today. Sportspersons may expect a call letter or an invitation for an interview for a new job. They would get this because of their talent in sports. CAPRICON – Sudden illness to an elderly in the family might lead to extra expenses today with health check-ups, doctor’s visit, medicines, etc. Parents would be very proud of their children. They would excel in their studies or co curricular activities and they would become famous. Keep an open mind towards unusual business proposals. They may come from the most unexpected quarters. Although you might feel apprehensive about them, they might eventually turn out to be very profitable. Students need to ensure that they concentrate on studies today. There are chances that they might lose focus today. Teachers who are coaching students for their examinations and other activities will be well appreciated for their efforts. Artists trying to experiment with new ways and techniques in their field may feel that they are not going anywhere. They would feel that they were stagnating. AQUARIUS – Those who are single might meet their true love today. A travel is predicted for today. This journey would be to complete a matter that has been pending for some time now. A wonderful day ahead for medical practitioners. They will gain all that they set out to today without much effort. Those in involved in trading in the share markets would today stay away from work to enjoy the day with their family. Politicians would today be noticed by people who matter and are influential. This would be very beneficial for their career. You will be in the pink of health. So you needn’t worry about falling sick today. PISCES – Family functions or get-togethers today will make the elders in the family very happy. They would be glad to meet all their sons, daughters and other relatives. Those in the technology field may feel proud of their job as it will bring them fame and reputation. Accountants may receive promotion or an opportunity to broaden their career prospects today. Students would today spend their time seriously preparing for their exams. They would not waste any time as they plan their schedule very efficiently. Sportspersons may expect to be rewarded for their achievements in their respective field. They might receive a lifetime achievement award.